ARE YOU LED BY THE HOLY SPIRIT? POWERFUL TESTIMONY BY DR JIM HARRIS. God understood that we can’t live the Christian life without the Holy Spirit indwelling us. Jesus said, “But when the Helper comes whom I shall send from the Father, the Spirit of Truth who proceeds from the Father, He will testify of Me.” John 15:26. Paul said, “Do you not know that your body is the temple of the Holy Spirit who is in you, whom you have from God and you are not your own? For you were bought at a price; therefore glorify God in your body and in your spirit, which are God’s. “Walking in the Spirit is yielding to the Spirit (not my will, but Your will be done). In Ephesians 5:18 we are admonished by God to be filled with the Spirit (means controlled by the Holy Spirit). Filling does not mean we get more of the Holy Spirit but that He gets more of us. It is the Holy Spirit that gives the supernatural gifts: WORD OF WISDOM, WORD OF KNOWLEDGE, PROPHECY, FAITH, HEALING, MIRACLES, DISCERNING OF SPIRITS, DIFFERENT KINDS OF TONGUES & INTERPRETATION OF TONGUES. Is there evidence of good fruit in your life? Is there evidence that the gifts are operating? If not, then you need to question whether you are born again. Find a church that operates in the gifts of the Holy Spirit. Sadly, many don’t. Many churches are filled with seekers, not born again believers. They are a mission field that needs our attention. Not convinced then take a look at these Scriptures. Take a look at the testimony of Dr Jim Harris. He is President of The Jim Harris Group, an international speaking and advising firm dedicated to helping believers in business unleash their unfair advantage in the marketplace. He is the author of Our Unfair Advantage: Unleash the Power of the Holy Spirit in Your Business and numerous other award winning business books. 9/11/01 was the first time in my life I intentionally asked for the power of Holy Spirit in my life. And it not only impacted me, but powerfully impacted over 500 other people. On 9/10/2001, I connected through Boston Logan airport to catch a flight to Killington, Vermont to keynote a conference the next day. As the opening speaker of the conference concluded his presentation, the scheduled 15-minute break began before my presentation was to begin at 9:30 AM EST. During the break, we were taken aback as the hotel staff frantically rolled out large TV’s on carts and began to broadcast the terrifying images from Manhattan. By 9:03 AM, both twin towers had been hit by the hijacked aircraft. Just like millions of other Americas, we were shocked, dismayed and very afraid as we watched both towers discharge huge pillars of smoke and fire. These images profoundly impacted most of this central Vermont audience as many had family members or friends who worked either in the twin towers or in lower Manhattan. The conference committee had to make a quick decision: cancel or continue. They chose to continue. I was the next speaker. As the attendees regathered, there was a powerfully palpable cloud of fear and uncertainty swirling throughout the room. The conference team exhorted me to find a way settle their minds and hearts away from this surreal disaster. Addressing the audience, the conference organizer quickly reviewed their reasons to continue and introduced me. I was speechless. For the first time in my career as a professional speaker, I had no idea what to say or how to overcome such overwhelming emotions and uncertainty. Also for the first time in life I intentionally asked God, “What do I say? What do I do? Please give me Your words—because I do not have a CLUE!” To this day I do not remember what I said. For it was not me speaking, but Holy spirit speaking through me. About the only thing I do recall was that I asked the audience to join me NOT in a prayer (remember – this was in the middle of the Bernie Sanders/Ben & Jerry’s ultra-liberal northeast) but to join me in a time of ________ – I do not even remember the words that came out of my mouth. Whatever the words, they were perfect! In less than 90-seconds, what began as an overwhelming spirit of fear was replaced with by a palpable spirit of calm! It took me over a decade to fully realize how Holy Spirit so powerfully led me through this pressure-packed event. 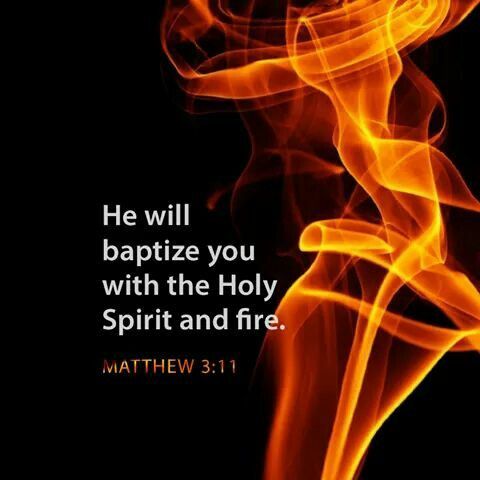 I can now say this was the first time in my life I was intentional in desiring to be led by Holy Spirit. And now, this is the only way I want to live! Jesus repeatedly said he did not do or say anything on His own, but only what the Father told him to do or say (John 5:19; 5:30; 8:28; 12:49; 14:10). This too is my quest. What began for me on 9/11/01 as a foretaste Holy Spirit has transformed into my life’s desire – to teach, write, mentor and shepherd willing saints (particularly in business) on how to always and only #BeLed.